President Rodrigo Roa-Duterte will lead the groundbreaking ceremony of the P27.9 billion Cebu-Cordova Link Expressway (CCLEX) at 3:00 pm today in Cordova town, approximately 20.5 kilometers from Cebu City. The CCLEX is considered the biggest infrastructure public-private partnership (PPP) in Cebu. The President will be joined by Manny Pangilinan, chairman of the Metro Pacific Tollways Development Corporation (MPTDC), Secretary Adelino Sitoy, presidential adviser for legislative affairs, Cebu City Mayor Tomas Osmena, Cordova town Mayor Mary Therese Sitoy-Cho, Jose Maria Lim, president and CEO of Metro Pacific Investment Corp., and Rodrigo Franco, president of Metro Pacific Tollways Development Corp.
Secretary Sitoy will welcome the guests that will be followed by messages from Mayor Osmena and Pangilinan. An audio-visual presentation of the CCLEX project will be shown to an expected 300 guests. Executive Secretary Salvador Medialdea will introduce President Duterte prior to his speech. The lowering of the time capsule at the site in Dapitan-Pilipog Area in Cordova town will ensue after his speech. The CCLEX, set for completion in the year 2020, is born through the initiative of both the local government units of Cebu City and the Municipality of Cordova. 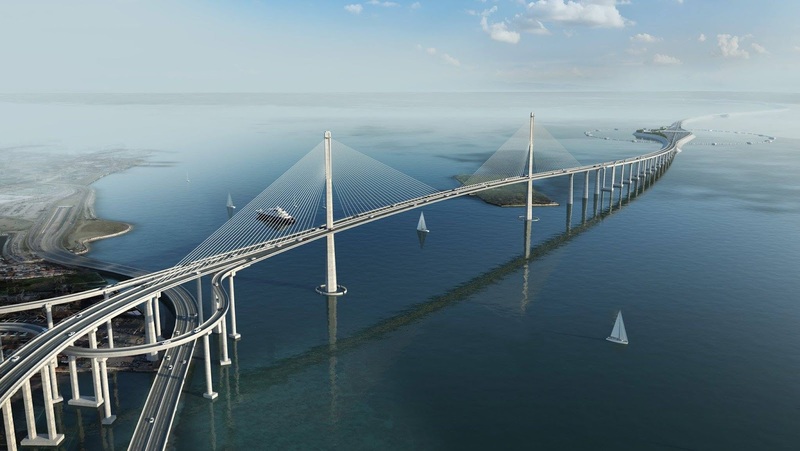 This will be the third bridge linking Cebu City to Mactan Island via Cordova town. The CCLEX is seen to decongest the heavy traffic especially coming to and from Mactan Island. It will divert the traffic from Mandaue City especially during peak hours on weekdays. The Cordova Link Expressway Corporation (CCLEC), MPTDC’s subsidiary, will undertake the project. The company will finance, design, build and operate the bridge. In April 2016, MPTDC signed the PPP agreement for the project through a joint venture with Cebu City and Cordova town. Meanwhile, President Duterte will join the Cebu Chamber of Commerce and Industry (CCCI) during the induction of its newly elected board of trustees and officers after the groundbreaking in Cordova. He will be welcomed by Sec. Michael Dino of the Office of the Presidential Assistant for the Visayas, Ambassador Frank Benedicto, Glenn Anthony Soco, president of the Mandaue Chamber of Commerce and Industry (MCCI) and Melanie Ng, president of CCCI. Over 200 businessmen and invited guests are expected to attend the CCCI event where part of the program will be a dialogue with the President.